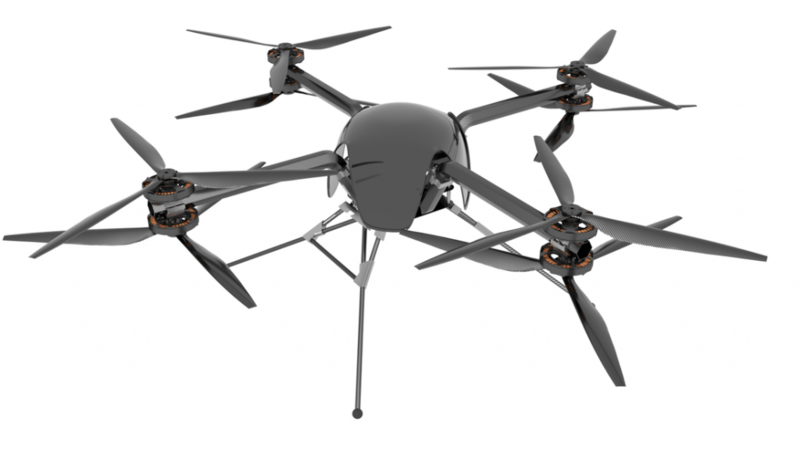 Enterprise Drone Solutions, based in Tucson, AZ is introducing Théa: the world’s first UAS to meet the high standards for an FAA Airworthiness Certificate. Théa has expanded operational capabilities beyond those of any other commercial unmanned aircraft, to allow legal flight over crowds, at night, and beyond. By providing unmatched aircraft-grade reliability (10^-9 Failure Rate), Théa meets the stringent requirements necessary to go where consumer-grade systems can’t. This opens up many new opportunities for the commercial use of unmanned aircraft, but in particular, Théa offers the film & television industry the benefits of camera-equipped helicopters at a fraction of the cost. Its capability for flight at night and over people, combined with its capacity to carry full cinema camera systems offers industry-standard features and control with reduced expense. Support packages are available to back Théa’s unparalleled reliability with unparalleled service. We provide next-day guaranteed service, including required maintenance intervals for flight worthiness, as well as 24/7 support, so you never have to worry. More information is available at www.enterprisedronesolutions.com. No Replies to "Théa: The first FAA Approved Drone"